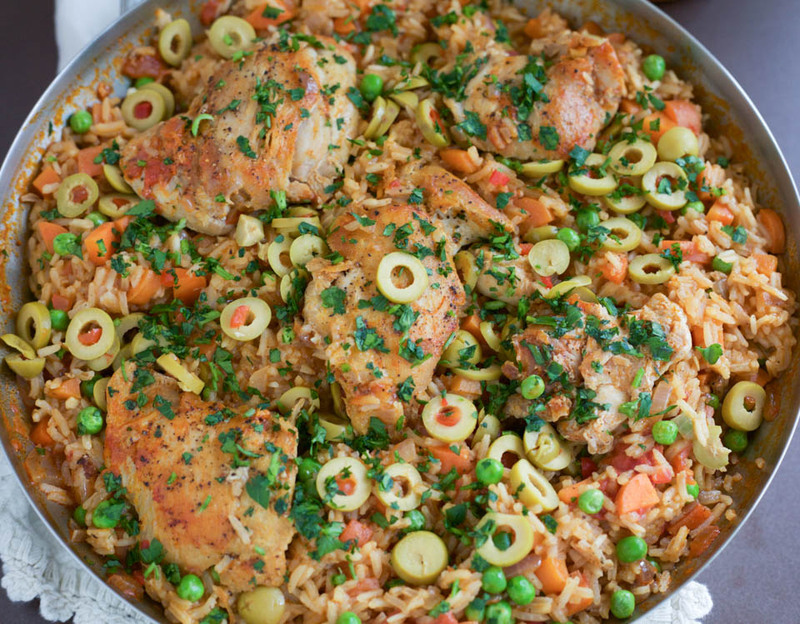 I have a warm love for this beautiful and traditional Mexican Arroz Con Pollo that my Mom made for us growing up. I have eaten this dish so many times and it was time to update this recipe that I published six years ago. 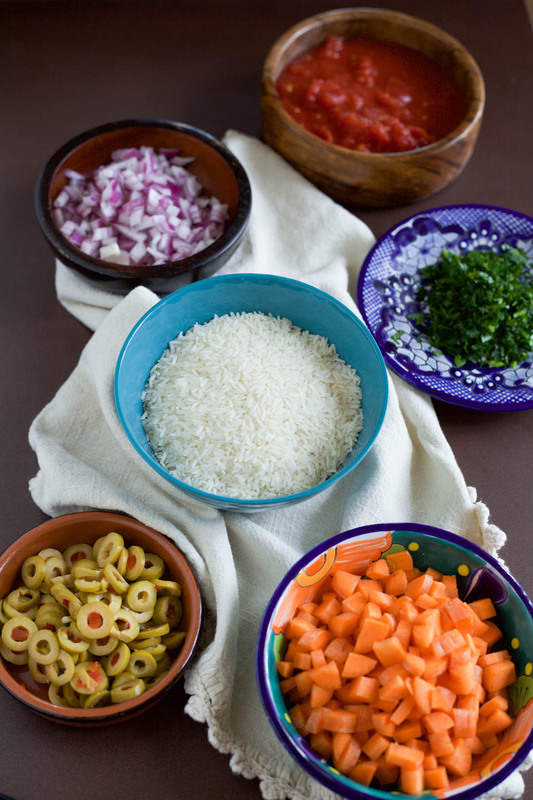 It’s comforting like the Picadillo she also made for us growing up. Very much made in the same way with many of the same ingredients. It’s an affordable dish that is made all over Latin countries in different way with their local ingredients. Some are made with many different spices, chiles, potatoes, varying vegetables and local flare. This is just the way I know it and ate it, traditional to our area of Mexico. 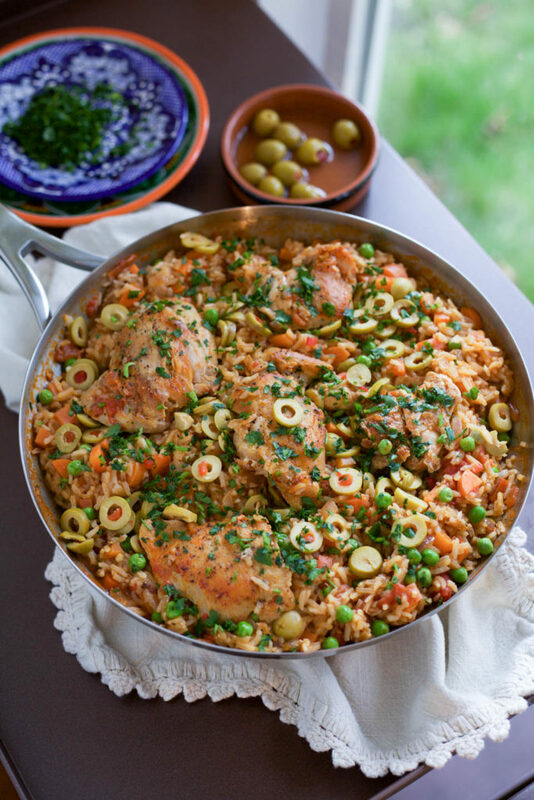 Arroz Con Pollo can be made with brown or white rice. 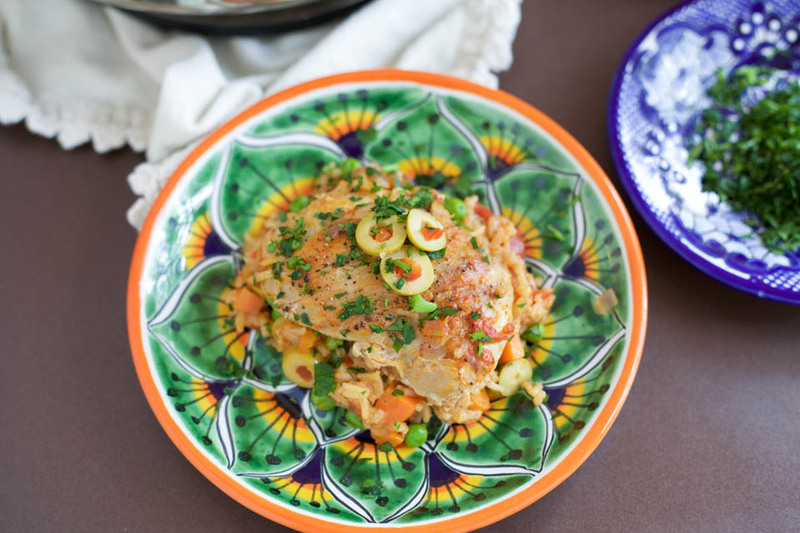 It’s a comforting and traditional Mexican dish from my childhood. I serve it with tortillas and a good red salsa, and sometimes fresh lime wedges. Add olive oil to a large skillet or paella pan over medium high heat. Once oil is shimmering, add chicken, sprinkle with salt and pepper, then brown on each side for 3-4 minutes. Remove chicken, set on a plate. Lower heat to medium low, add onions and cook for 5-7 minutes, stirring occasionally. Add garlic, cook for 30 seconds. Then add rice and paprika, toast in pan for 1 minute, stirring once. Add stock/broth, crushed tomatoes with juice, 1 1/4 teaspoon salt, 1/2 teaspoon black pepper, and carrots, stir to combine. Add chicken back to pan, nestle into broth. Cover and cook for 30 minutes. Add peas and olives, cover and cook for 10 minutes. Serve immediately with fresh chopped parsley. Store leftovers in an airtight container for up to 3 days. 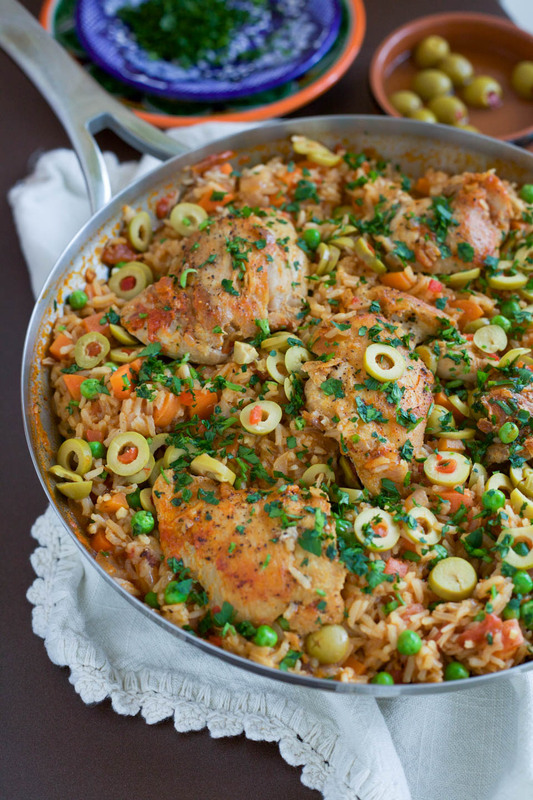 I’ve never made this dish with the olives. I can see where they would add the perfect kick! Thank you so much, Jan! Have a great day as well. Thank you very much! I got the theme from word press first. But my boyfriend is a web designer and tweaked a few things for me, and we need to do some more changes. Then hopefully one day he can build my own site for me, but that takes a lot of time. Thanks again!! !